In their relentless pursuit of increased muscle mass and extreme definition regardless of cost, many modern bodybuilders are literally dying to be bigger. It wasn’t always like this. A long time ago before bodybuilding became a burgeoning growth industry bodybuilders exemplified the virtues of health, strength and beauty and the leading exponents of this lifestyle were truly herculean specimens of humanity. 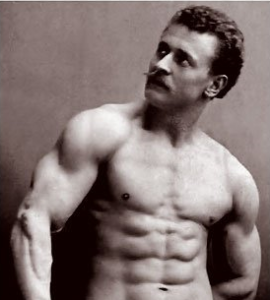 The first icon of physical culture in the 20th century was Eugene Sandow, a native of Russia whose training partner was the legendary “Professor Attila” (Louis Durlacher). Sandow’s picture is easily recognised as a he was usually photographed wearing only a fig leaf. 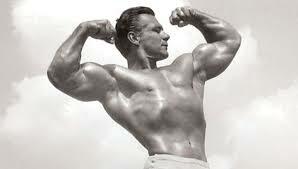 Physical culture’s most famous symbol however was Charles Atlas who won “The World’s Most Handsome Man” (1921) and “The World’s Most Perfectly Developed Man” (1922) contests. He is well known for marketing the story of the boy who had sand kicked in his face. The first modern bodybuilding event was the Mr America in 1940 won by John Grimek. He displayed more muscular development than any previous bodybuilders up to that point. As bodybuilding increased in popularity the quality of physique improved. The competitors displayed physiques which were generally muscular and proportionate. Certainly the early bodybuilders aspired to keep the arms neck and calves all around the same size in order to maintain a proportionate physique. The ethos at that time was about health, strength and aesthetics. Whilst increased muscular size was desired and a goal, it was built on a foundation of physical health and strength. Indeed bodybuilders of that era were the epitome of this. Probably the most famous example was former Mr Universe Steve Reeves who was also a successful actor. He was considered my many (and still is) to have possessed the ideal physique, and he massively influenced many bodybuilders who came after him. The use of anabolic steroids initially with weightlifters was pioneered in the late 50s to early 1960s. The effectiveness of these drugs at building muscle and strength was quickly recognised. They were adopted soon after by other disciplines changing forever the evolution of Athletic development and competition. The advent of steroids also saw bodybuilding taken to a new level and it ushered in levels of muscularity previously unseen. 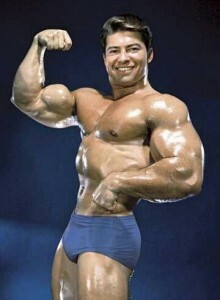 Men like Reg Park and Larry Scott (the first Mr Olympia) displayed huge muscularity whilst maintaining definition and proportionate development. This continued throughout the 1960s and although the levels of muscularity reached new heights with some bodybuilders sporting flexed upper arms in excess of 20 inches, they generally maintained proportion displaying relatively small tight midsections. 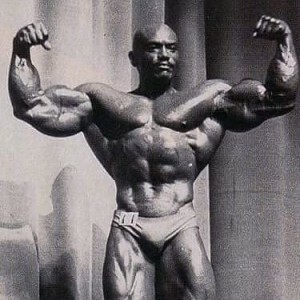 The late 1960s saw the arrival of “the myth” Sergio Oliva who displayed huge muscularity with over 20 inch arms and a tiny waist. 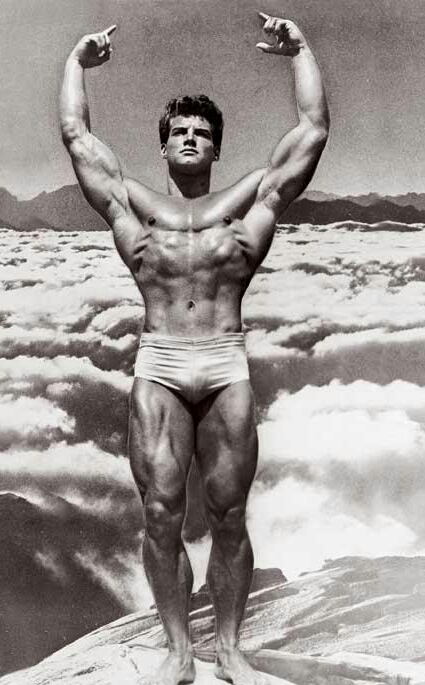 He was eclipsed by the most successful bodybuilder of all time “the Austrian oak” Arnold Schwarzenegger who later of course became a movie star and politician. In the so called “golden era” of this sport a certain set of ideals governed the judging criteria. A physique was judged not only on its muscularity but on its proportions and symmetry. A small waist coupled with wide shoulders gave the much desired classic v shape. Physique stars at that time were easily accessible to common mortal man who could identify and aspire to reach the standard on display. We were privileged to view some tremendously aesthetic looking physiques epitomised by competitors such as former Mr Olympia Frank Zane. 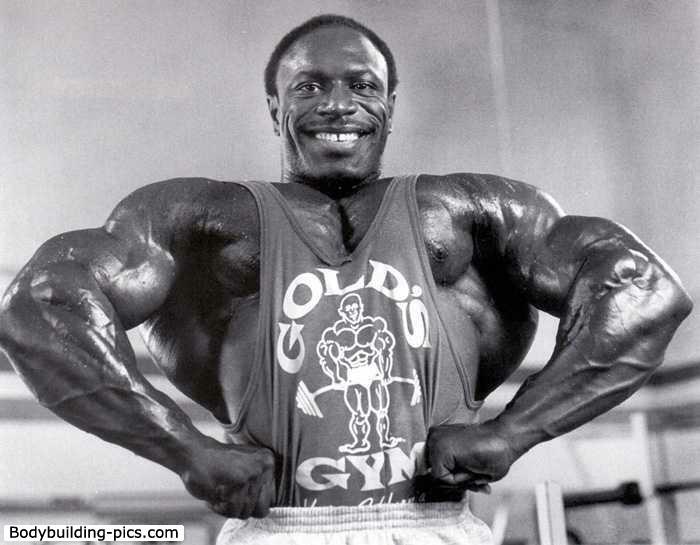 The eighties saw Lee Haney eclipse Arnold’s number of Mr Olympia titles. Lee was endowed with a 240 lb physique which had again raised the bar with regard to standards of muscularity, without sacrificing aesthetics to any great extent. 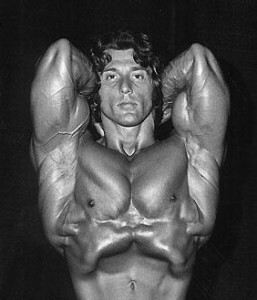 Additionally smaller bodybuilders such as Lee Lebrada also displayed equally phenomenal physiques at less than 200 lbs bodyweight. Somewhere along the line however things began to change for the worse. The importance of aesthetics became subordinated to the attainment of huge muscle mass and low digit body fat levels at any cost. 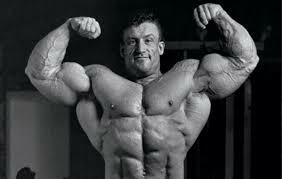 Around the early 1990s we saw the arrival of “The Shadow” Dorian Yates who set a new standard weighing around 265 lbs of dense muscle. The arrival of this “mass monster” changed the game and ushered in a new breed of massive bodybuilder. Even Dorian was quickly surpassed in size by a number of behemoths including Ronnie Coleman who went on to win an impressive 7 Mr Olympia titles. This era had also seen the rise in use of additional drugs in order to achieve the level of extreme muscularity required to now win contests – primarily insulin and human growth hormone. This race to be biggest ensured that rampant drug use would preclude the future good health and longevity of any of the participants in the resulting freak show. The relentless pursuit of mass accompanied by low levels of body fat invariably came at a cost. The list of fatalities arising as a result of drug abuse thus far is a fairly long one. Even in the 1970s Golden age and beyond into the 1980s there were multiple adverse drug effects on health, such as kidney failure, liver tumours and limb amputations. A good number of high profile bodybuilders at that time have since passed away usually from kidney and heart failure. Mike and Ray Mentzer immediately spring to mind but there were several others. 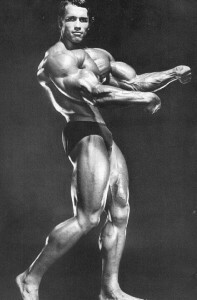 In the 1980’s, Steve Michalek a former Mr Universe was diagnosed with liver tumours, heart failure and kidney disease. He was subsequently forced to retire from bodybuilding. He received a kidney transplant in 2011 before his death, at the age of 63, in 2012. Andreas Munzer died on March 14 1996 at the age of 31. His autopsy revealed multiple liver tumours and a heart that was double the size of a normal man’s heart. 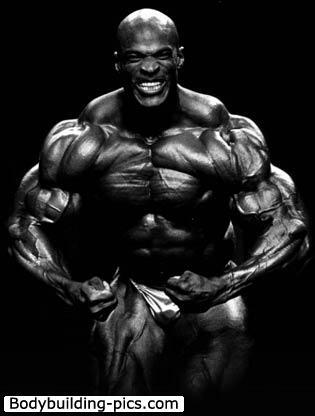 He was known for his extreme definition and his enormous drug intake prior to competition. Those in denial will invariably state that the deaths of these individuals were not related to their drug intake or that they had undiagnosed condition or were predisposed to one. This is the usual knee jerk reaction when this subject is raised in bodybuilding circles. Many are those who are quick to use this or similar explanation as the reason for the premature death or health deterioration of these bodybuilders. It is true that whilst the causes of death (in majority of cases heart failure) cannot be directly linked to their drug use, it would be foolish to assume the drugs were not implicated in any way to the premature deaths of these bodybuilders. It is also fair to say that we need to differentiate drug use from drug abuse. Excessive drug use may well exacerbate pre-existing conditions which may not have manifested (and certainly not as quickly) had these drugs not been Ingested. Many of the competitors especially those from the nineties and onward are now suffering a catalogue of maladies. You would be hard pressed to find many from that era still around in good health. A short life, health problems and an early death appears to be a certainty for many of the modern day behemoths that purport to be professional bodybuilders. The list of drugs routinely ingested by competitors include vast quantities of human growth hormone (hgh), insulin, myostatin inhibitors, diuretics, anabolic steroids and numerous peptides which are currently untested and may present further unknown risks down the road. The drug intake of current professional bodybuilders is likely the highest it’s ever been. The more recent abuse of insulin, hgh and diuretics maybe an even more significant precursor of ill health than anabolic steroids. Certainly the abuse of diuretics particularly appears to pose a significantly greater health risk. In terms of risk reward ratio modern bodybuilders probably have the worst deal of any competing athletes. Few if any make any real money and the cost of the massive amounts of drugs they ingest is huge both financially and in the physical toll it exacts on the body. All elite athletes take performance enhancing drugs but the costs to bodybuilders particularly now or in the future must far outweigh any perceived benefits. I wonder what motivates these people to take such risks with their health as it certainly isn’t the financial incentive. The risk reward ratio is most definitely heavily skewed in the wrong direction. The “do or die”, win at any cost mind-set of modern day competitors is obviously radically different from that of decades ago. This does not just apply to bodybuilders however, it is indicative of the mind-set prevalent in the majority of elite competitors in virtually every athletic discipline. As far as bodybuilding is concerned this is all so far removed from the origins of the sport which was based around losing fat, gaining muscle and becoming physically stronger, athletic and healthier. The sense of proportion and focus on aesthetics is also now long gone. Instead we have many pregnant looking dudes with gorilla like butts onstage. ‘The vacuum” pose so prevalent in the golden age of yesteryear has completely disappeared. It is no longer performed because of the physical inability of the competitors to hit the pose due to their distended midsections. For many modern elite bodybuilders kidney failure, heart disease and organ failure will likely end their time here on terra firma. By the time they are shrivelled and emaciated in their coffins they will be yesterday’s news and the fans will be watching whichever new behemoth is striding that stage, whilst they may remain a remembered but now rotting corpse. What a very sad indictment of this once great art and sport.